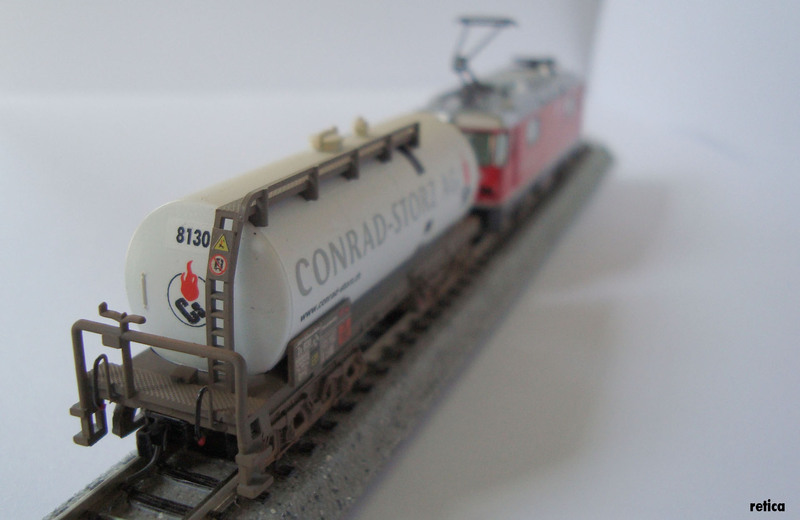 TT Trams (Shapeways) is the best Fac hopper, but before the Shapeways moulding existed, I made one up using am Arnold standard gauge bogie Vigier ballast hopper (already grey) and a paper image stuck on with pritt stick. Simplest way IMO is to cut the top section off and stick on the paper. The MOB not only have the single arm pantographs the other way round mounted they also drive with both pantographs up all the time. Why ? No idea. The MOB locos always run with both pantos up and also have special slide plates with three current collectors per panto. 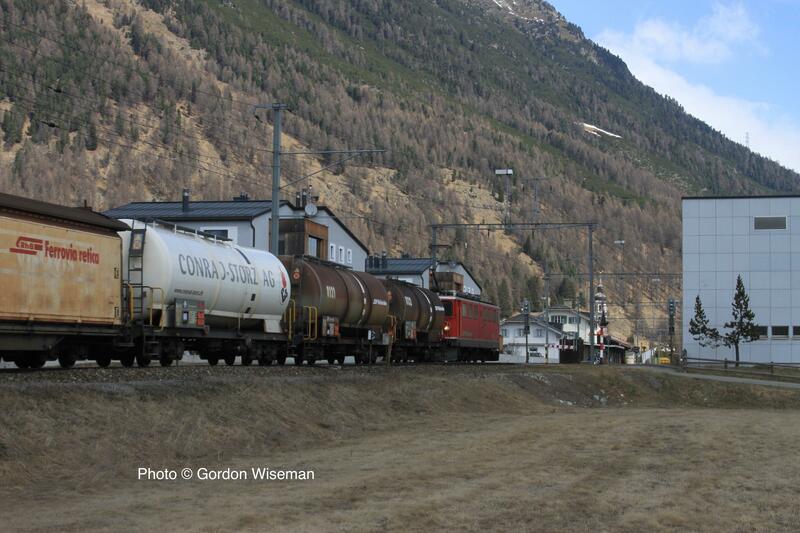 (As this is not so much about the RhB I guess this should rather be in the "Modelling Swiss narrow gauge in 1:150th scale" thread. Yeah I know, not 100% accurate, could have done more with brass handrails and so on but it will have to do as a stand in till a proper RhB tank car is available. Have you got any smaller bogies lying spare? The key to getting the narrow gauge effect with kitbashed stuff on this theme is implying the narrow gauge look. As I think I've mentioned in previous posts, I use American style bogies to acheive this 'miniaturisation' of the bogies, although on some wagons the Glacier Express coach bogies work quite well. I was going to replace the trucks with something more 'RhBish' when available but having tons of 'Murican type trucks here I will have a go and see how it looks. I've just had a look (22/03/18 @ 09.14) at their website and everything is still shown as +30 days. I'm pleased I bought a couple of Kato Ge4/4's instead of hanging on for the German ones that look less and less likely. instead of hanging on for the German ones that look less and less likely. As a manufacturer I'm sure you realise the value of communication. These wagons are overdue by my reckoning. As an act of faith I have reserved 4 unseen at a cost of over £100. There seem to no photographs of undecorated samples never mind decorated ones. So I am actually doing my best to support the company even though they are not communicating. In the same way I have two sets of Kato Add-On sets for the Glacier Express bought and paid for. I'll not see them until June but judging by the way the RhB Ge4/4II emerged on the due date I have no worries. No doubt when Kato announce their next RhB increment I'll buy that as well. So I am showing faith in the manufacturers and potentual manufacturers of RhB rolling stock. Once "Pirate" in Italy add their photo-etched flats I'll buy two, all I can afford at 80 Euro a go. Could we look to Revolution Trains to add to our hoped for? 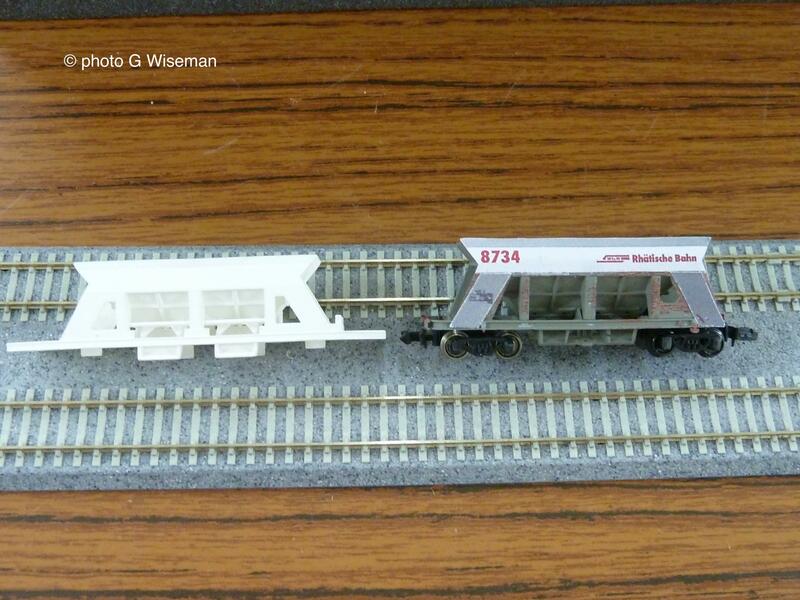 We do need a short RhB luggage van to finish of the EW1 sets. Meanwhile I'll do the best I can to support those who support me. Since the last three posts are fundamentally about the MDS Modelle company items, i have requested that the Mods move these posts, originated by Mike Beard, to the relevant thread on this topic. 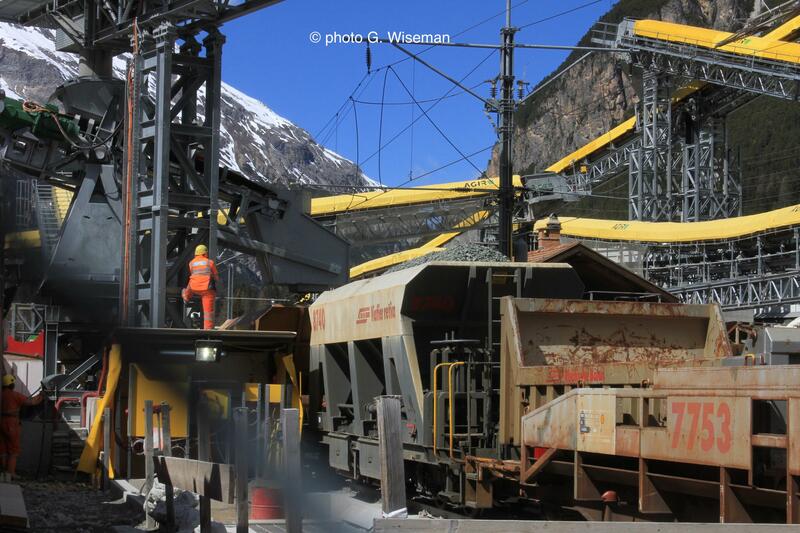 It seems to me that we have a solution to the Ballast Hoppers. 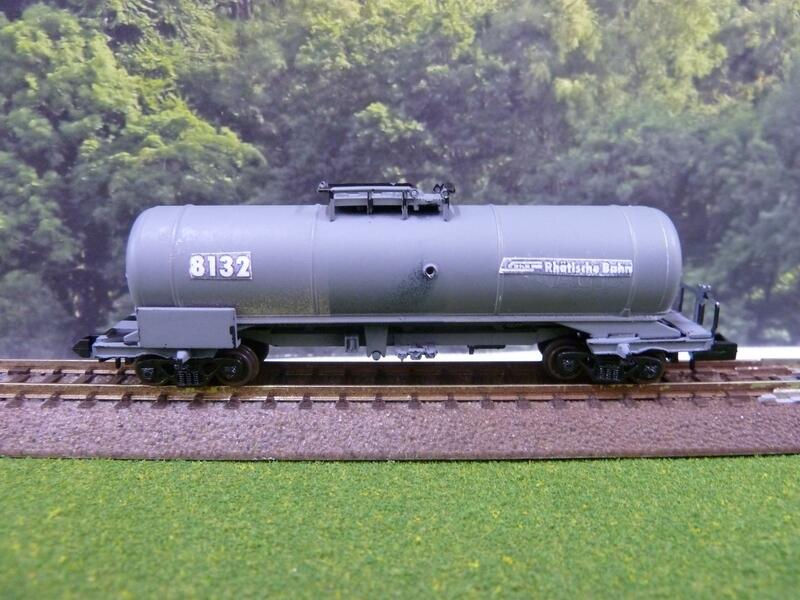 With a bit of work, almost any Arnold or Fleischmann or even Minitrix tanker will fit in somehow. 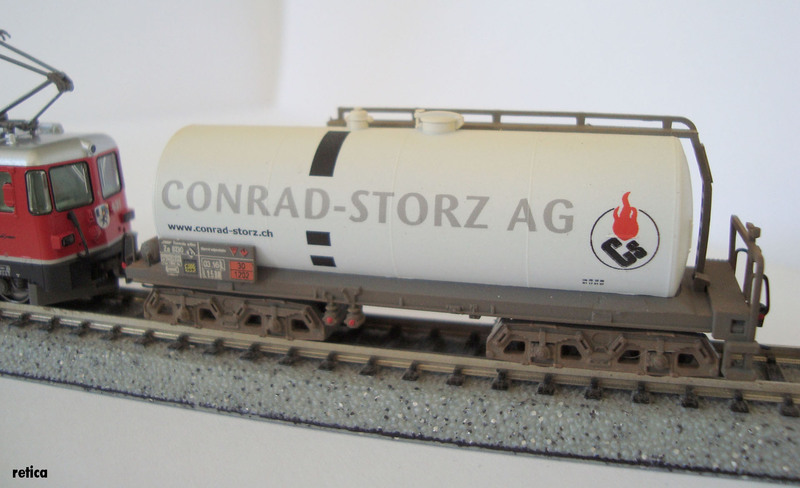 I think I put up a pointer to a guy in Switzerland who does the depressed centre wagons complete with containers in different colours. So that leaves the various bogie flats. Gordon, you have made some - what is your starting point and how much do you take out of the middle and are the characteristic staunchons available or how did you make them? I hope Revolution Trains will consider that. I'd hope that Red Death and therefore Revolution Trains would, maybe through a disinterested third party, discuss which vehicle/s they would produce with Kato and others. We currently have needless duplication of product in a fractional market. Also to bear in mind is the licensing agreements with the RhB which I cannot believe are cheap. You cannot commercially reproduce any of the RhB products or vehicle signs without it. Time will tell. Certainly the estimated price quoted by MDS-Modell leads me to think there is not a premium involved, similarly with Kato who are certainly cheaper than Bachmann in the UK from the "right" shops. Alternatively I'd hope the Administrators will compound the MDS-Modell thread into this one which has really become a RhB non-Kato thread. So that leaves the various bogie flats. Gordon, you have made some - what is your starting point and how much do you take out of the middle and are the characteristic staunchons available or how did you make them? 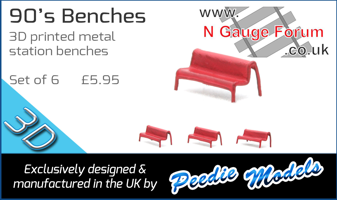 The length of an SBB Cargo Sgns standard gauge long bogie flat scales down to approx 122mm in 1:160 and the various models available seem accurate to this measurement. I calculated from data available that the length of the superstructure of the RhB long bogie flats should be 110mm (excluding any buffer head gear) in 1:150 scale. Therefore I cut off about about 7mm from each end. If you obtain the model of the type of Sgns wagon with the double stanchions (eg Minitrix 13875 and 15608) they are equivalent to what the RhB wagons have, so can be re-used. If we wait a bit longer we will be able to hack up a brand new model (LOL) as Minitrix 2018 new item 15937 is a bogie flat with two Co-Op containers on it. 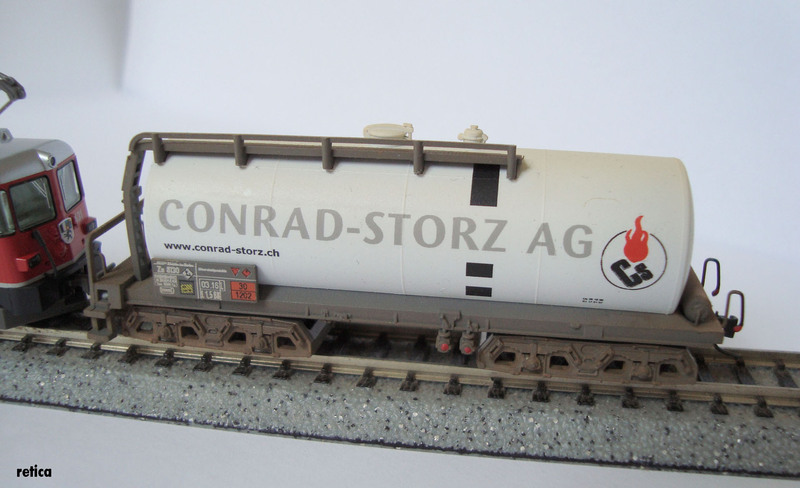 The flat wagon could be shortened and given a log load while the Coop container go on to 2 axle chassis. Page created in 0.151 seconds with 42 queries.